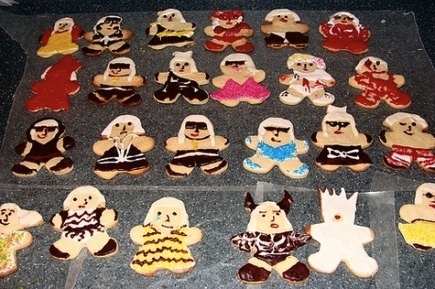 Just when you think you have seen EVERYTHING about singer Lady Gaga and that there is NOTHING left to surprise you here are some Lady Gaga Gingerbead Cookies! If you look at the photo and really closely look at these cookie ladies you can see that the baker/decorator captured the costumes and poses Lady Gaga is famous for….pretty good job!! If you are interested in more details then visit here- Crafty Crafty. We have found this amazing cake that is of singer Lady GaGa. And may actually have been presented to Lady GaGa! 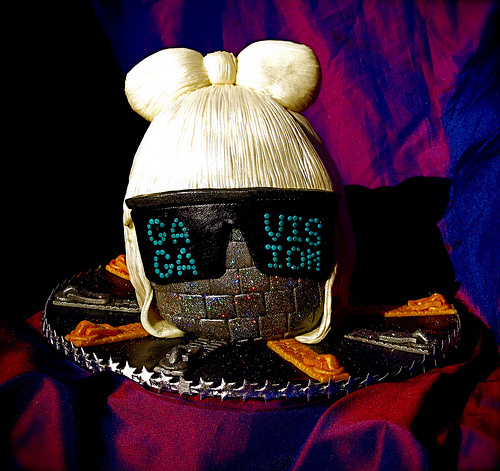 Neat Lady GaGa Cake!